We are of the trusted manufacturers of a wide range of Multi Plate Stack Filter that is used in aluminum foil rolling mills. 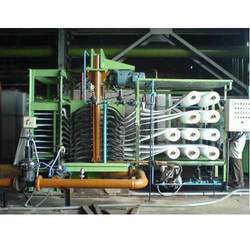 Paper is used form the base material of Multi Plate Stack Filter. These filters are well known for separating solids from liquids, slurries and suspensions like aqueous feed streams. Our range of Compact Band Filter is specially designed for space efficiency and require only 20% of the space as compared to other conventional band filters. Engineered to precision, these filters are suited for high flow rate and dirt content. 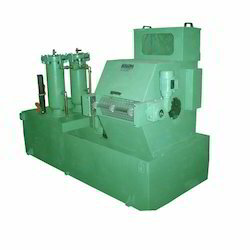 These are provided with hydrostatic head and the perfect sealing of the machine ensure that there is no leakage or overflow of the material and thus high filtration efficiency is achieved. 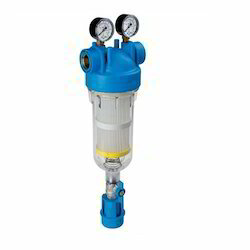 The quality range of Flat Bed Pressure Filter that we offer works on the principle of filtration by pressure difference. Our range of flat bed pressure filters is known to provide the desired clarity by removing even the finest particle using a wide range of filter media. These filters are ideal for fluids up to 20 CST with coarse dirt in it. Moreover, we can customize these filters for fine dirt application by using pre-coat technique. We are engaged in offering Self Cleaning Filter that are designed for automatic discharge of dirt and filtered particle without opening the filters. 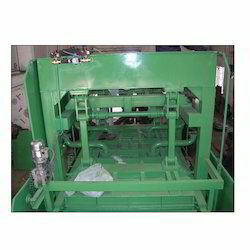 In self-cleaning filters, automatic self-cleaning filters the liquid passes through the wedge wire drum where the dirt and the solid particles are captured on screen. The impurities from the screen are removed by rotation of scraper blade.